Family-run Pension George is located in Karterados, just 2 km from Fira, or a 15-minute walk. Surrounded by a garden with exotic plants, cacti and flowers, it hosts a large swimming pool. The nearest beach is a 10-minute bus ride. Rooms are bright and airy, each with a bathroom, fridge, safe and air conditioning. Most have a balcony and satellite TV. 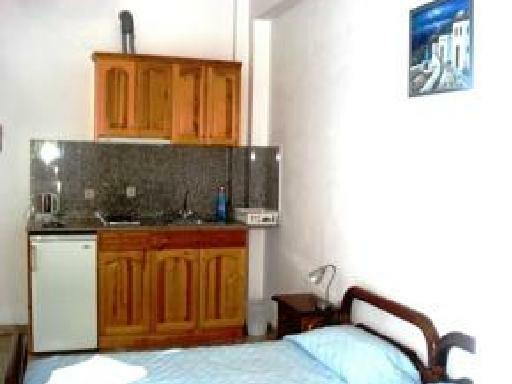 The studios additionally have a kitchenette and can accommodate up to 5 persons. Breakfast is available upon request and can be served on the terrace or outdoor courtyard. Coffee shops, restaurants and mini markets are within easy walking distance. 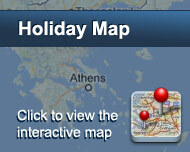 Free transfer from the port or airport is offered upon arrival, and free parking is available right next to the hotel. The hotel hosts will be happy to assist guests with ticket service, guided island tours and car or bike rentals. Είστε ιδιοκτήτης ή διευθυντής στο PENSION GEORGE; Εγγραφείτε τώρα για δωρεάν εργαλεία, που μπορείτε να χρησιμοποιήσετε για να βελτιώσετε την καταχώρησή σας και να συνδέσετε την ιστοσελίδα σας και το σύστημα κρατήσεών σας.